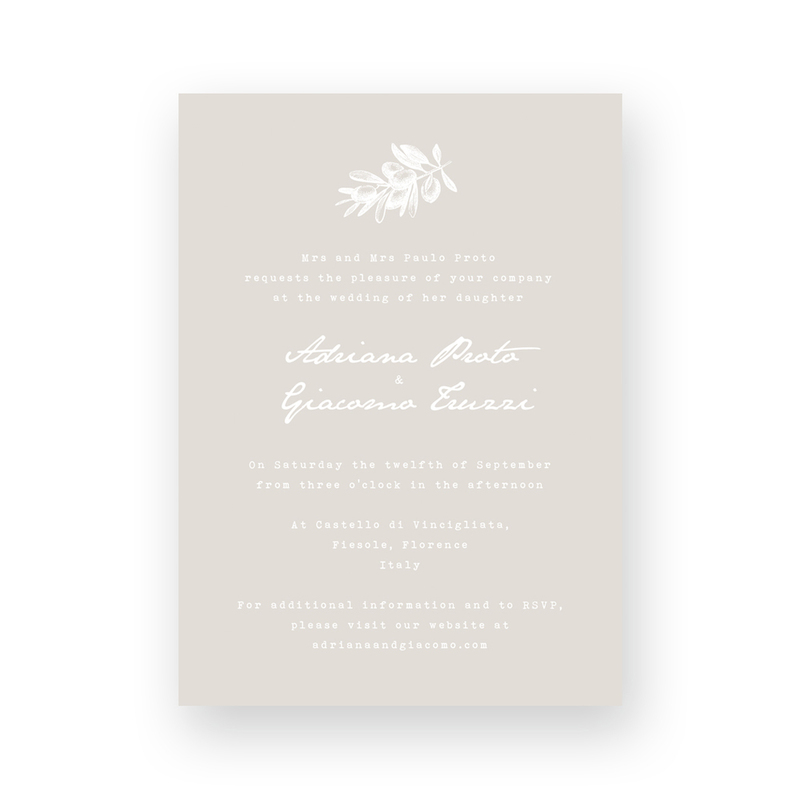 The Adriana suite features an olive leaf illustration paired with an elegant handwritten font on a soft taupe background, for the ultimate in understated chic. For our pricing, customisation options and printing and delivery timeframes, please see our pricelist. - To begin the process, purchase the nonrefundable deposit below and provide your wording and order details upon checkout. - Your first PDF proof will be emailed to you within 5 working days. - Once you approve your design, a final invoice will be sent to you (minus the deposit) and your order will be printed. - Complimentary personalisation of wording + ink colour. 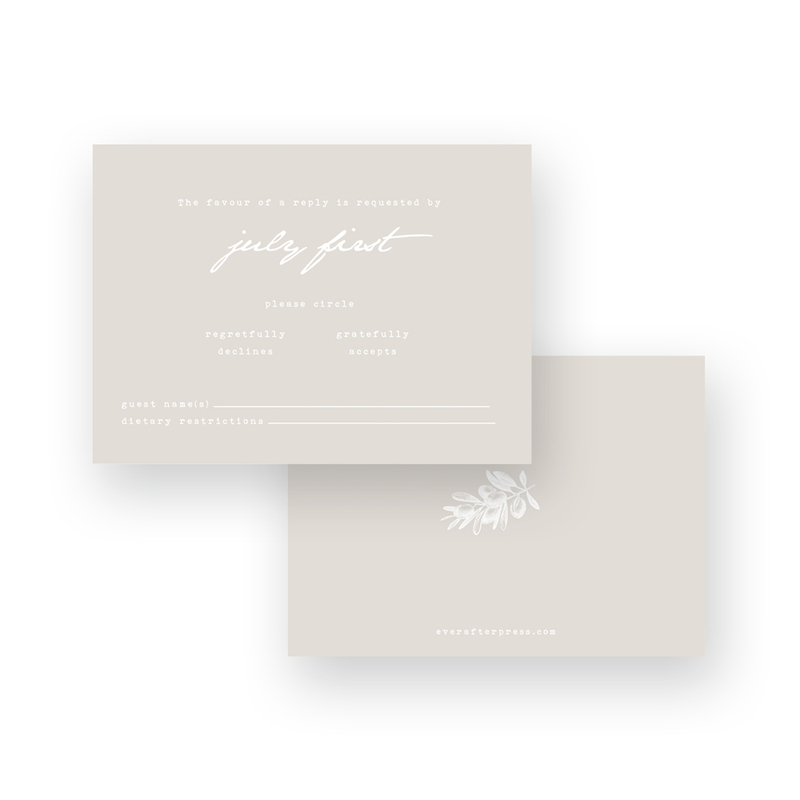 Coordinating save the dates and on the day items are also available.